If the day should ever come when you had to depend solely on your garden to feed your family, will your harvest provide adequate calories? Gardening adds food-security and healthy additions to an overall prepping plan. The vitamins and minerals they supply are important. However, most vegetables don’t provide substantial calories. 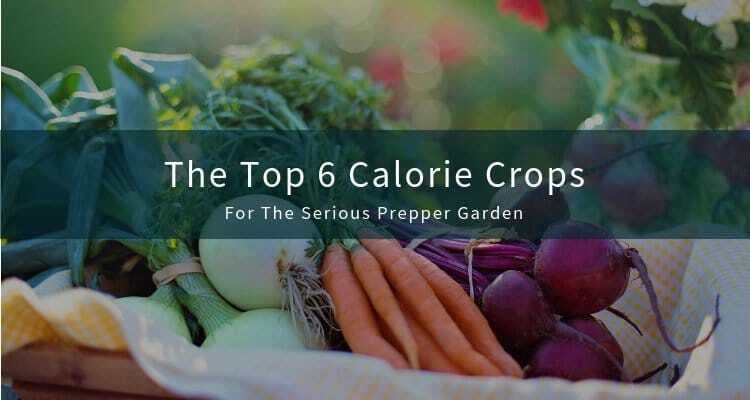 Consider the following top 6 high-calorie garden must-haves to grow in a backyard garden this year to supply substantial calories. One cup of corn kernels supplies 354 calories and 10 grams protein. Corn can be eaten alone, added to recipes, or ground into meal. Usually, corn takes a lot of garden space but Burpee offers the “On Deck” hybrid variety. The On Deck variety grows 2 or 3 7”-long ears on each 5’ tall stalk. Better still, it can be grown in containers. Learn more at www.burpee.com. Soy is a legume, not a vegetable. It is a healthy meat substitute. A cup of edamame has 376 calories. Plus, in addition to being edible, the soy plant returns fertility to the soil. Who doesn’t love the simple potato! A medium baked potato with skin offers 255 calories and 7 grams of protein. The hardy Yukon Gold grows best in the cool spring weather. In the hot summer months switch over to heat-loving sweet potato. Potatoes also store well, providing food security through the non-growing season. All hail to the avocado. One cup of mashed, fresh avocado—laden with good fat—is 370 calories. If you are not in the proper growing zone, plant avocado in a large pot on casters and pull it inside during the winter months. You may not be lucky enough to have mature walnut or almond trees in your yard, but the sunflower offers 135 calories per ½ cup. The fat found in nuts is overwhelmingly unsaturated and provide extra protein as well. The Mammoth Sunflower is easy to grow in any small garden corner with full sun. The kids will love pulling off the seeds. Supplying a family of 4 with 2,000 calories per day for 1 month requires 240,000 calories…for 6 months would require 43,200,000 calories. That’s a number difficult to achieve if you are only growing tomatoes, onions and peppers. Consider the total number of calories in your garden when planning your crops this year.